These sessions are tailored to G.P‘s, Psychologists, Chiropractors, Counsellors and other professionals who have clients that are dyslexic. An overview of the treatment and how it successfully changes the problem. To arrange an information session please contact us to arrange a time. 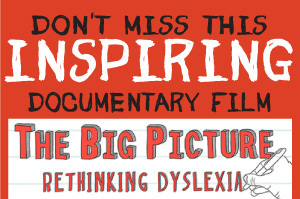 These are offered at schools or other venues where parents are interested in finding out more about dyslexia and how it may affect their children. How to recognise the symptoms of dyslexia. The relationship between behaviour and dyslexia. Strategies to help children at school. Strategies to help children at home.